Hatha FlowClaire Riley @ Avatar fitness. Postures are taught with suitable modifications and props are supplied. We use breath work (pranayama) meditation/concentration, and a full guided relaxation at the end. You are encouraged to work at your own level to get maximum benefit from the practice. Simplified sequencing and a gentle approach with modifications to ease you into any posture you find challenging make this class suitable for beginners. Emphasis on learning postures correctly at a level that suits you. Classes will be a beautiful combination of pranayama (breathing exercises) asanas (postures) and relaxation. Classes are dynamic for the experienced yogi, yet options will always be available for those of you that are just beginning your yoga journey. 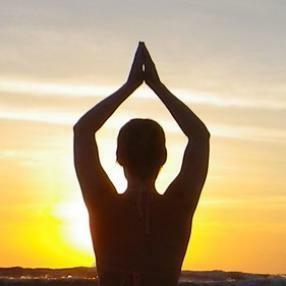 You leave class not only with a strong, flexible healthy body, but with a peaceful mind. That deep sense of peace and well-being is the ultimate purpose of yoga. Postures are taught with suitable modifications and props are supplied. We use breath work (pranayama) meditation/concentration, and a full guided relaxation at the end. You are challenged in this class according to your own ability and are encouraged to work within and up to your own personal limitations to get maximum benefit from the practice. This class offers a therapeutic style of yoga, incorporating gentle, flowing movements and postures, with breath awareness to melt away tension and invites a deep sense of stillness that will nourish the whole of your being. Claire blends a mixture of Hatha and Dru Yoga, with an emphasis on creating space "to be" through breath awareness and deep relaxation (yoga nidra). All abilities welcome. Our room is heated between 30 and 34 degrees for an enjoyable and personally challenging class. Suitable for those new to Hot Yoga due to small sized class and also suitable for the more advanced as their personal practice can be improved by assistance from our experienced teachers. Evolve is aimed at intermediate level yogis and is designed to be a natural progression for practitioners of bikram and other forms of hot yoga. Evolve is a grounding, enlightening movement sequence that uses yoga postures, sets them to music and incorporates principals of meditation, encouraging people to develop their physical body while relaxing their mind.